Looking After Us set out to provide a platform for looked-after children and young people leaving care to share their experiences. 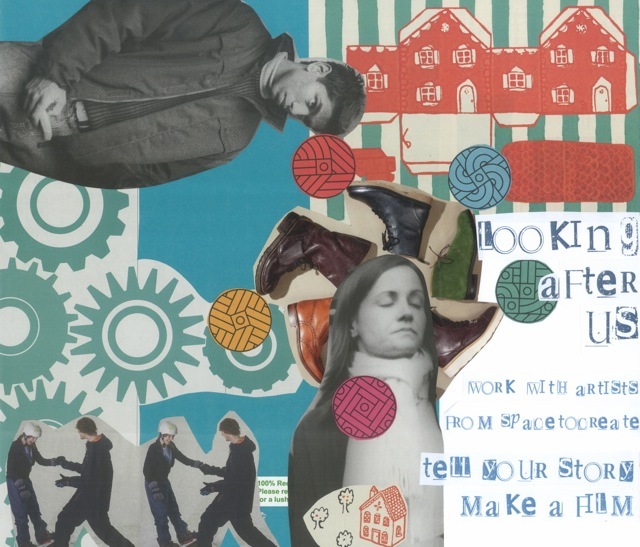 A series of introductory sessions in the Autumn of 2014 provided opportunities to gather stories, collect images and introduce a range of techniques; including sound recordings, collage and animation. The project continued in January 2015 with a one day animation workshop to create a short film in response to one of Marley’s sound recordings. In it, Marley discusses growing up in care, being in and out of foster homes, and looking forward to adapting to independent living. The series of sound recordings were made to discuss developments in the support available for young people in care in Pembrokeshire. These can be heard on the moving-stories website.